Around the world, gingerbread has been a festive favourite for many years. Something about the combination of the subtle spices is just perfect for a cold winter’s day when daylight hours are in short supply. 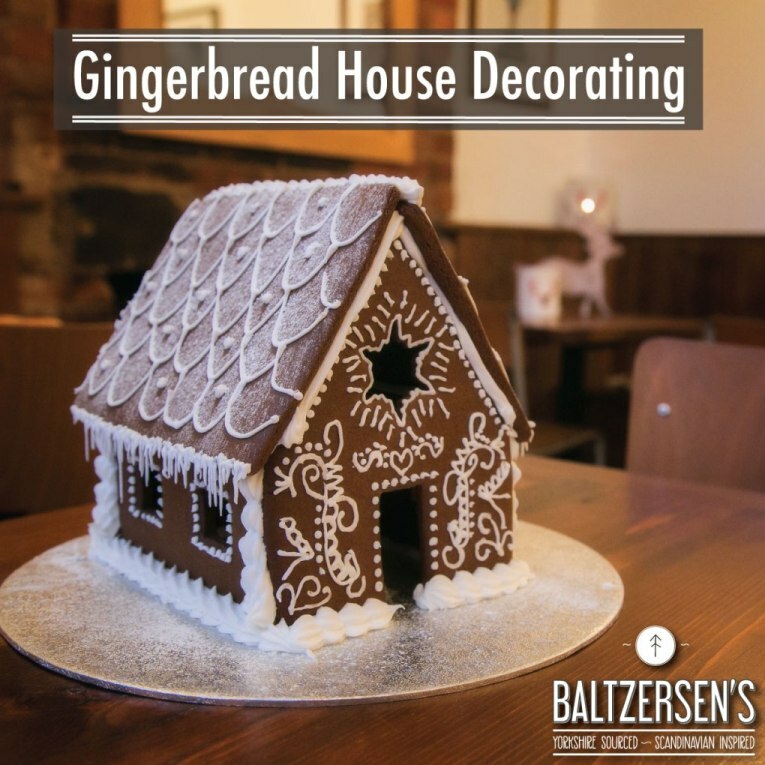 Here at Baltzersen’s, we’ve run a gingerbread house workshop for a few years – and it’s back by popular demand this year! Our Gingerbread House Decorating Workshop is designed for families and groups of friends to get together and create a beautiful gingerbread house ready for Christmas. We’ll provide the gingerbread ready-assembled by our kitchen team using a traditional recipe; all you have to do is use the sweets, pretzels and chocolate on the tables to create a beautiful festive display – perfect for a Christmas centrepiece. While we in the UK have usually focused on cut-out biscuits such as gingerbread men, stars and reindeer, our Scandinavian cousins have a much more impressive use for the dough. Gingerbread houses are a tradition going back many years. Gingerbread itself was first introduced to Europe in the 11th century, and decorated gingerbread houses became widespread in the early 19th century. Their origins were in Germany, but they quickly became a tradition in many northern European countries. Gingerbread was used to create religious symbols as part of Christmas and Easter celebrations. In fact, the creation of gingerbread was restricted to professional gingerbread makers during the rest of the year, and ordinary citizens were only allowed to try their hand during these two religious festivals. 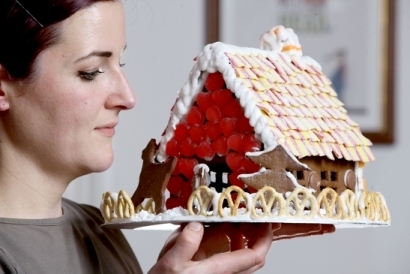 These days, Swedish families often prepare a gingerbread house to mark St Lucy’s Day on 13th December. Meanwhile, a gingerbread village is constructed by children in the Norwegian city of Bergen every year. It’s a really special project, as the photos and details on the Bergen tourism website show. While an entire city may be off the cards, our workshop is the perfect chance to get together over a fun, creative project that all the family can enjoy. This year we’re running Gingerbread House Decorating Workshops across three evenings: Tuesday 4th December, Tuesday 11th December, and Tuesday 18th December. All sessions will run from 5pm -7pm. Tickets are £35 for a table of four, including all materials to decorate one gingerbread house. There are also extra options for you to add on if you would like an extra gingerbread house for your group (£20 each) and/or gingerbread biscuits (£5 for 4). Why not watch our video to see what it’s all about? Booking is open now but places are limited on the workshop, so we recommend booking early to avoid disappointment. Want to join us? Pop into the cafe and book with one of our staff! We’re at 22 Oxford Street, Harrogate. Can’t make it to a workshop? 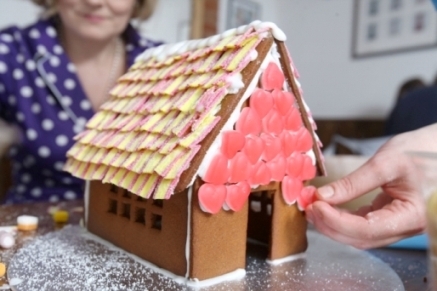 We helped the Telegraph put together this step-by-step guide to making a gingerbread house a couple of years ago. Why not make your own at home?